It has been reported that Samsung’s upcoming foldable smartphone may have a triple camera setup among its hardware. The source of the rumor believes the South Korean manufacturer will use a similar system as already found on the Samsung Galaxy A7 (2018). If this latest news is accurate, then it seems the foldable flagship will be bristling with high-end components. 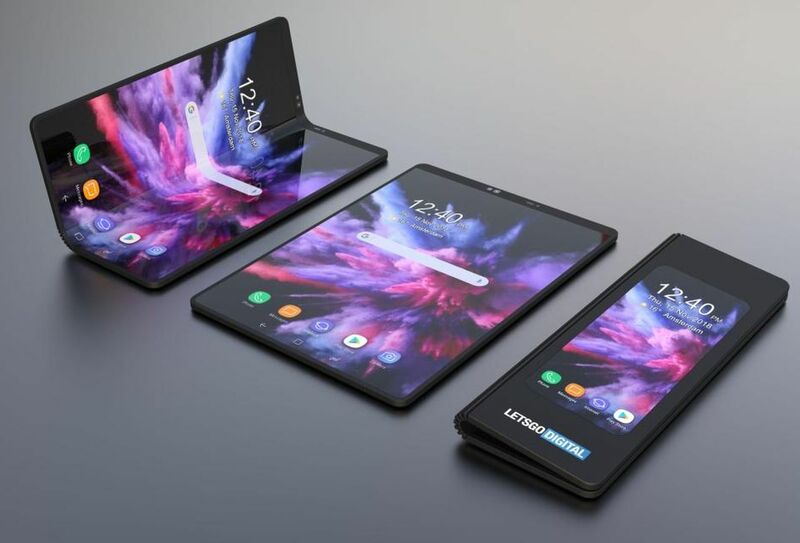 Samsung’s foldable smartphone, which could still end up being called the Galaxy Fold, will apparently feature a triple camera setup on its back, to add to the already impressive list of hardware this device has been connected with. The camera system could be similar to the triple camera setup that was used for the Galaxy A7 (2018), which was considered a “pro” in our recent review. This means the triple camera setup may consist of a primary lens (the A7 had a 24 MP main sensor) that is supported by an ultra-wide-angle lens and a depth sensor for helping create bokeh effects. Along with rumored hardware such as a Qualcomm Snapdragon 855 processor, 8 GB RAM, a potential 6,000 mAh battery, and 128 GB of storage, the Galaxy Fold is starting to look like a flagship of flagships – keeping in mind this is all coming in a device you can actually fold up. Of course, there is one obvious drawback to this potential plethora of specifications: cost. The Galaxy Fold (or Galaxy F / SM-F900F) is expected to be priced in the region of US$2,000 and even possibly up to US$2,500. But there is still the strong possibility that Xiaomi is producing a more affordable rival to Samsung’s likely eventual pack leader.